Unrivalled event wear for every event - weddings, up-till-the-AM parties and graduations, tick 'em all of your list right here. 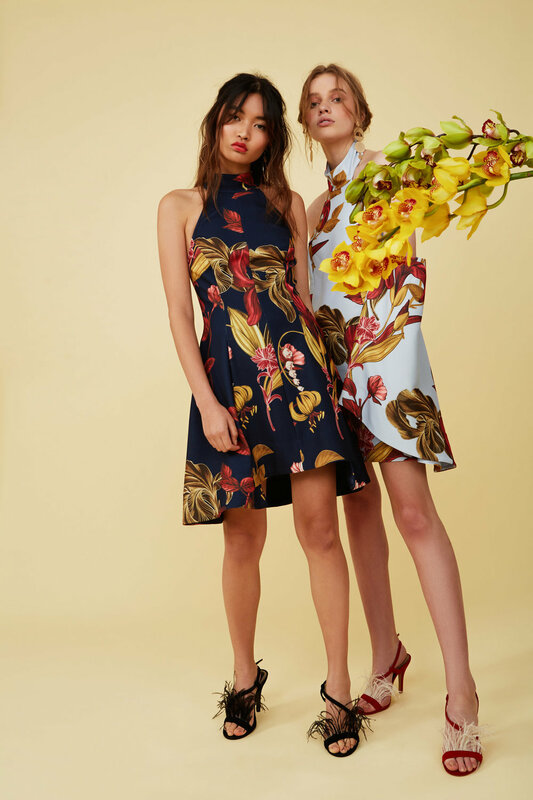 Featuring babes Kat Wu and Tiahnee Skrijel, we give you the slip on, feel good dresses, one piece wonders and co-ords you'll keep coming back too. Explore our eventwear editorial now. Turn up the florals - groundbreaking whatever your season. Shop Keepsake Whispers Long Sleeve Dress. Shop C/MEO Fusion S/S Dress + Fusion L/S Dress. Shop C/MEO Fusion L/S Dress. Forget black - light up the room with a zesty burst of yellow. Shop Keepsake Elevate L/S Dress. From delicate trim to floor-skimming elegance and tailored co-ords, there's no such thing as too much lace. Shop Keepsake Walk On By L/S Top + Skirt, Walk On By Gown. Shop Keepsake Moonlight Midi Dress. Shop C/MEO Aspire Full Length Dress in ivory + Aspire Full Length Dress in black. Forget tiny ruffles - we're adorning ourselves with in-your-face frills, paired off with slim silhouettes and a hint of texture. Shop Keepsake Flashing Lights Midi Dress. Shop our eventwear editorial now.